(6V-34V) 5 Amps DC converter 12V to 1.5-12V continuously adjustable This is a 5 amp output, variable voltage buck converter. The output voltage must be lower than the input voltage. PST-DCCP 12V (3V-32V) Constant current buck converter 3.5A continuous, 5A peak Suitable for constant voltage or constant current applications, including battery charging, supercapacitor charging, electromagnet control and filament power. 1.5 Volts out 12 Volts (4V-25V) in 12 VDC Input 1.5 volt output cigarette lighter power supply This DC/DC converter allows the use of 1.5 volt equipment in a car. 6 Volts 11 Amps out 12 volts (10V-15V) Buck-Boost DC/DC Converters 12v/6v, 66 Watts These buck-boost converters use a special DC/DC converter topology to regulate and convert voltages with a wide input range. Isolated with common ground. 9-18VDC input 20 Watt 12 volt to 12 Volt DC/DC converter brick High quality brand name converter modules at a bargain price. 12V out 10-20VDC input 50 Watt 12V to 12V DC/DC PCB mount converter Hard-to-find half-brick modules in stock. (10.5 to 32V) Waterproof IP67 DC regulator, output can be adjusted between 9.5V and 18V IP67 waterproof DC/DC converter 850W or 450W. Fully isolated, can use input voltages up to 32V, and output voltages from 9.5V to 18V can be user adjusted by opening the front panel. 12 volt to 15V, 18V, 20V or 24V DC Converters These DC to DC converter cords can run or charge laptop computers from automobile power points (cigarette lighters). They come in 60, 90 and 120 Watt converters. 15A or 20A out 12 Volts (10V to 14V) in 12 volt to 12 volt regulating DC to DC Converters These DC to DC converter regulators are useful for giving stability to systems running off a 12 volt battery, either in an automotive or battery backup situations. Up to 700 Watts. Also available in higher output voltages (13.8 to 24 volts output), and in an adjustable model. 16V output 1200 W 12V input (11V to 14V) Common ground 1200 Watt 80 Amp DC converter, 12V to 16V 1200 Watt DC converter 12V to 16V for enhanced operation of ignition systems, transceivers and audio amplifiers. 2A 12VDC input Boost converter for making 24V in computers Input range 2.9V to 23V, but it is more efficient at the higher input voltages. Capable of 50W continuous with 12V input. (10.5V to 32V) Immersible 850W or 450W DC/DC converter, 12V to 24V fully isolated 850W and 450W DC converter with wide range input, 2500VAC isolation and IP67 ingress rating, output voltage is user adjustable between 16V and 28VDC. 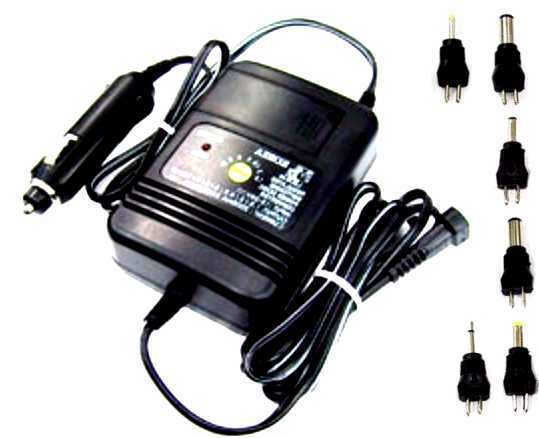 36 V out 12V or 24V input (10.5 to 32V) 12V or 24V to 36V waterproof DC converter at 450W or 850W Waterproof, weatherproof 12V or 24V to 36V DC converter with military style round connector. ATX out 12 Volts (9V-18V) in 12 VDC Input ATX Style Computer Power Supplies For running a desktop computer in cars, boats, solar panels or motorhomes. It has a wide input range is 9-18 volts.